Finding the right balance between capacity and anticipated demand is not always exactly clear. As the day of departure approaches, it can be a challenge to refine capacity when a flight is expected to come in either significantly over or under what was originally forecasted in the fleet-planning process. However, if you were able to adjust capacity as close as 45 days prior to departure to capture the additional anticipated demand, or downsize capacity to avoid spoilage, you could gain a significant financial benefit. Close-in re-fleeting, also called demand-driven dispatch, is a business process that can help overcome unplanned spillage or shortfalls in a flight’s demand. By using revenue management forecasting data, the fleet type assigned to a given flight can be adjusted close to departure to better accommodate the anticipated increase or shortfall in demand. In instances where demand is lower than expected, a smaller common cockpit aircraft can be assigned for cost avoidance, and when demand is higher than expected, a larger aircraft can be assigned to capture additional revenue. Typically the near-term swaps are made within the last 45 to 60 days prior to a flight’s departure. Common cockpit crew compatible fleet types such as A330-200/300, Dash 8 200/300/400, A320/321 and B-737/738/739 have shown to have the biggest financial impact. Sabre® AirVision™ Fleet Manager has the capability to help you make adjustments to capacity close-in to departure in order to better accommodate anticipated demand. Close-in re-fleeting is typically performed weekly and integrates revenue management, planning and scheduling, operations and crew planning departments to make fleet type refinements. Fleet Manager connects with Sabre® AirVision™ Revenue Manager, or an internal revenue management tool, in order to gather the most current bookings, remaining forecast and the fares offered by cabin class. Using this information, Fleet Manager is able to generate the revenue opportunity by flight-fleet combination in order to optimize the allocation of aircraft for revenue gains or cost savings. 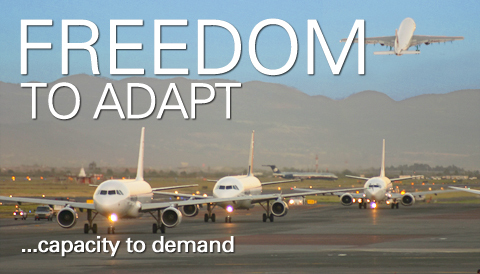 Sabre Airline Solutions® has worked with many airlines enabling close-in re-fleeting processes. In one example a large Latin American carrier derived an average benefit US$400,000 per month by instituting a close-in re-fleeting strategy to accommodate extra demand on peak flights and downsizing capacity on non-peak flights. Another network carrier in Asia Pacific was able to achieve an average benefit of US$850,000 per month based on close-in fleet swaps between narrow body and wide body aircraft types. A European airline with over 80 aircraft, of which over 60 are common flight deck Airbus A-319 / 320 / 321 equipment. Generate incremental revenue and profit by optimizing capacity allocations through the implementation of a new short-term capacity deployment process using the airline’s own revenue management demand forecast. Replacing the existing manual close-in re-fleeting process based upon budgeted revenue would allow the carrier to consider all capacity opportunities simultaneously, based on up-to-date traffic and revenue forecasts. Benefits exceeded results versus the manual process. The new close-in re-fleeting process resulted in an average profit gain of 1.5% - 2% of weekly variable profit. We can help you capture additional revenue or decrease incremental costs by implementing a close-in re-fleeting strategy. Contact us to conduct an assessment and determine if your airline is a good candidate for close-in re-fleeting.